I’ve ventured back into the kitchen during the day and have a new baking partner. 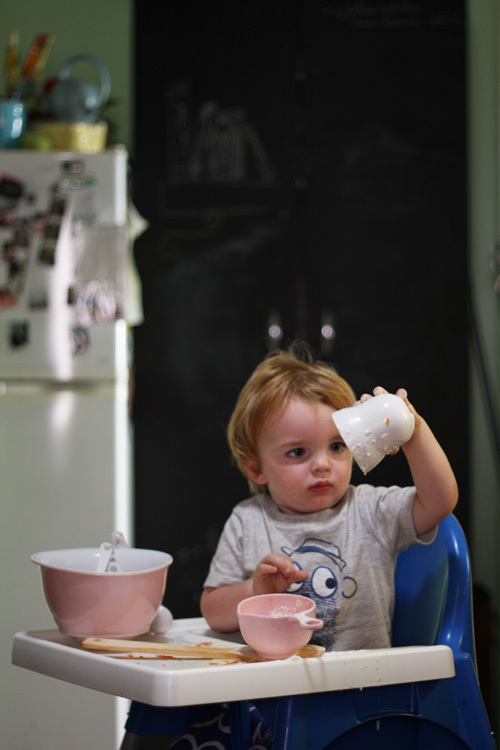 Bub wants to be involved in everything so I set him up in his highchair and gave him his own baking implements and ingredients (flour, water, a lemon and couscous). He helped me as I made melting moments for a ladies crafternoon and delicious carrot cake just for us. It was very successful and I am overjoyed I can now bake when the mood strikes me, instead of trying to be quick and quiet late at night when I’m too tired to be either.